Corn dogs are one of my go-to dinners when I’m short on time. 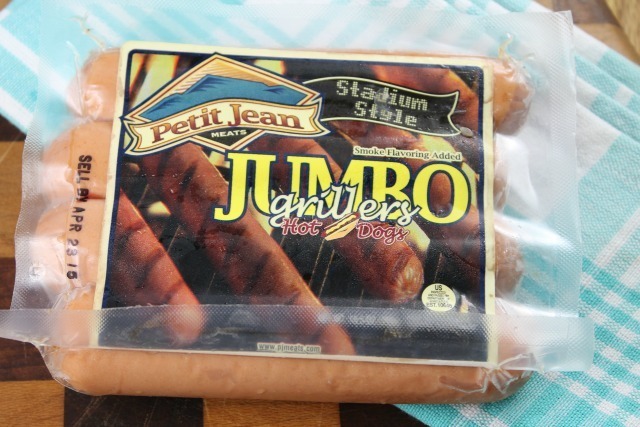 My boys love them, so I knew a homemade version made with our favorite Petit Jean Hot Dogs were going to be a big time hit. This was my first time to make homemade corn dogs and they were really quick and easy. I broiled the hot dogs really quick to cook them and then I rolled them in cornstarch to help the the batter stick. It worked like a charm. 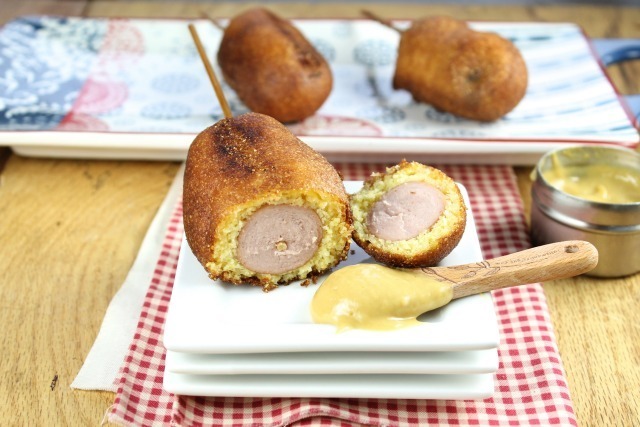 Corn dogs are a great treat for summer and go so great with your favorite macaroni salad. 1.) Layer hot dogs on a baking sheet. 2.) Place under the broiler for about 3 minutes.You can cut hot dogs in half if you would like mini corn dogs or leave whole for large corn dogs. 3.) Place cornstarch in a shallow dish and roll hot dogs in to coat completely. 4.) Place vegetable oil in a deep skillet about 3 inches deep and heat to 350 degrees. 5.) In a large bowl, combine cornmeal, flour, sugar baking powder and salt. 6.) Add milk, buttermilk, eggs and melted butter. Whisk together until smooth and no lumps remain. 7.) Stick a skewer through each hot dog. 8.) 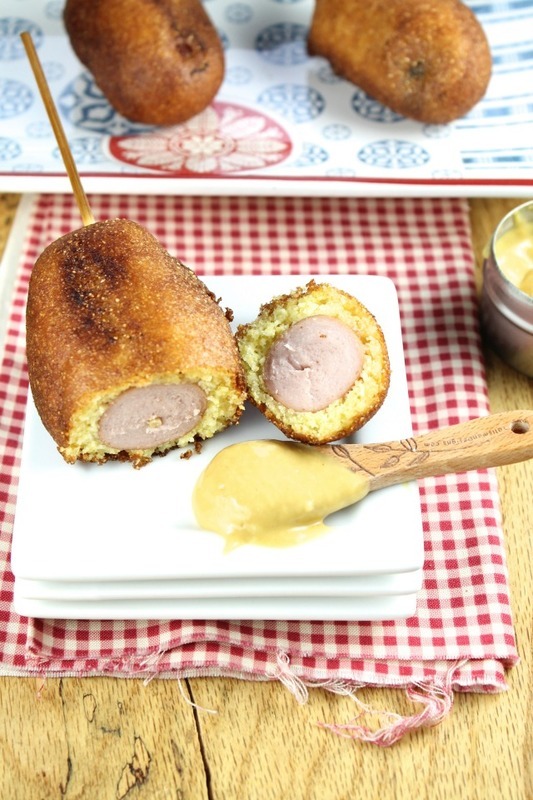 Dip each hot dog into cornmeal batter and allow excess batter to drip off. 9.) Fry corn dogs for 2-3 minutes, turning to cook all sides, until golden brown. It’s best to fry 2 corn dogs at a time. 10.) Drain on a paper towel lined wire rack. 11.) Serve immediately with your favorite dipping sauce.